Welcome to the Claremont Academy, hero... here's hoping you survive the experience! Freedom City's prestigious Claremont Academy is a training ground for a new generation of superheroes. Now you have the opportunity to follow along and take part as Claremont's newest student arrives at its hallowed halls. The Mutants & Masterminds Beginner's Guide walks newcomers to the game through all the steps of creating and playing their own heroes with the Worlds Greatest Superhero RPG. It includes basic, stripped-down game systems to get a feel for the game along with a narrative adventure to experience game-play all on your own. Then you can try playing with friends as you all get into the game. Just like graduating from Claremont Academy, the Beginner's Guide will ensure you're ready to become a full-fledged hero! A quick introduction to roleplaying games in general and Mutants & Masterminds in particular. Basic rules for playing the game, explained step-by-step. The solo adventure Into the Doom Room, where you play Firepower, the newest student at Claremont Academy, as he tests his newfound powers. Complete character sheets for Firepower and five of his Academy classmates, with detailed explanations of their capabilities in game terms. The short group adventure Super-School Slugfest! Play one of the superhero students in a training session in the Doom Room: play against other players and against the systems of the Doom Room itself. 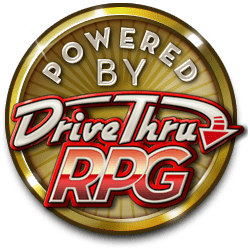 If you've ever thought about trying a roleplaying game, now's your chance! 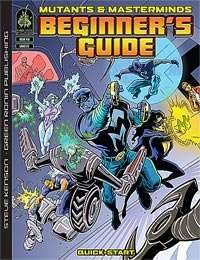 The Mutants & Masterminds Beginner's Guide opens up whole new worlds of adventure. This title was added to our catalog on February 15, 2007.